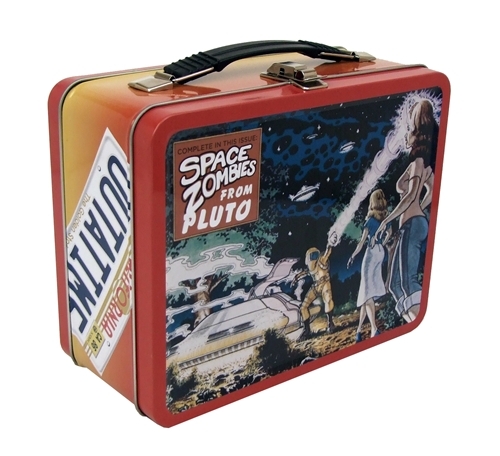 Featuring the Delorean Time Machine on one side and Marty’s ‘Space Zombies’ comic book cover art on the other, this sturdy metal retro-styled lunchbox is perfect for time travelers and break rooms, a must for any Back To The Future fan. 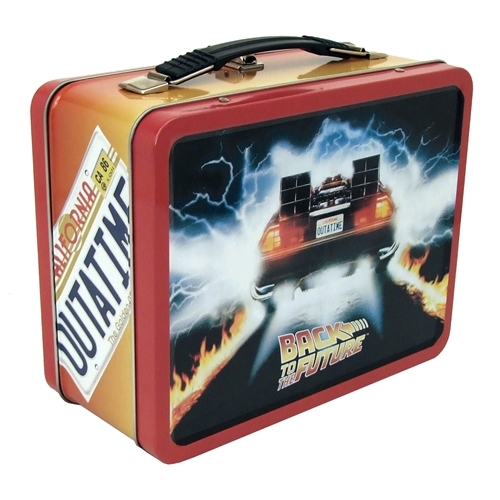 Guaranteed to protect your lunch up to 88mph! Box measures 8.5” x 6.5” x 4” and is suitable for adult collectors only.